The aura has been given many names over the centuries-chi'i, prana, karnaeem, and Illiaster. In fact, it has been documented for over 5,000 years. Astral lights alluded to by ancient Eastern Indians; Chinese and Jewish mystics are attributed to a universal energy permeating all matter. The aura was described in early esoteric writings and later in those of the Rosicrucians, Zen Buddhists, and Christian mystics-even in the oral traditions of the American Indians. 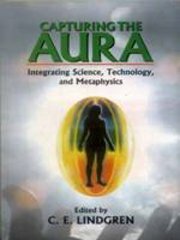 Now, Capturing the Aura brings the science, technology and metaphysics of auric investigation into a concise and readable book for the 21st century-a century that will see continuing integration of science and metaphysics into the Meta Science of the future.